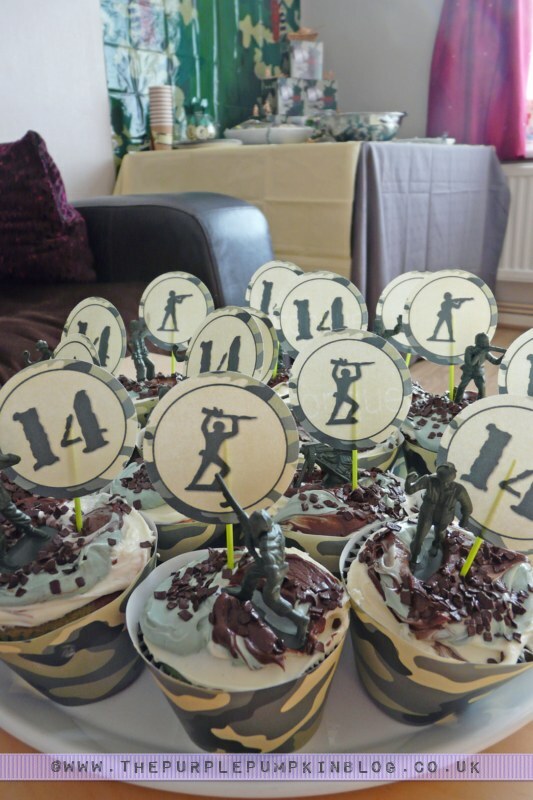 Time now to bring the Army Themed Party I threw for my sons’ birthday together! 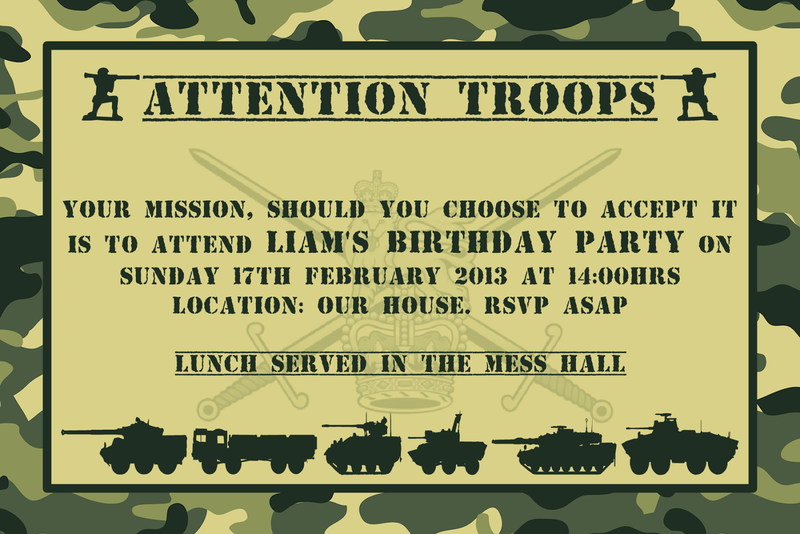 I decided early on in the year that I would throw my son an Army Themed Party, but as I was so busy with work I left it quite late to do any of the organising, so just a few days before I sent all the family an invitation. 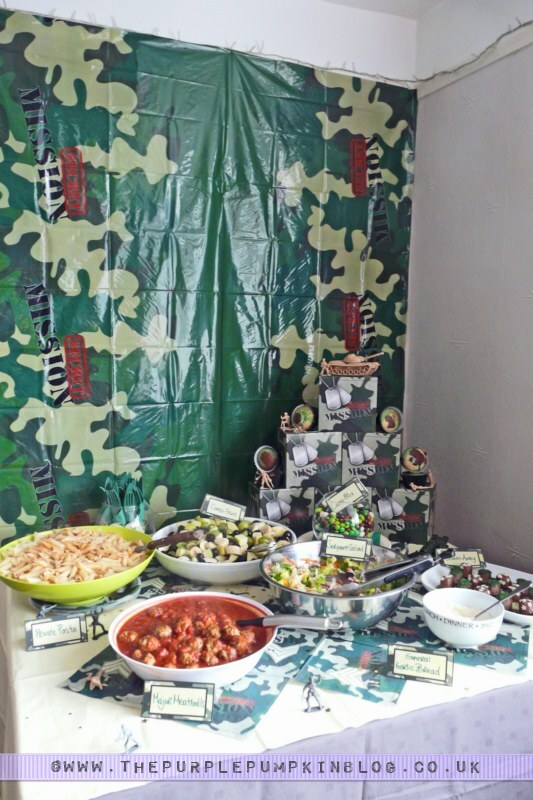 I decorated the buffet table with some store bought decorations and stuff I shopped from home ;) Anything green, cream or brown was going to work! Instead of your typical party food (junk!) I cooked a proper meal of Major Meatballs and Private Pasta with Sergeant Salad and General Garlic Bread on the side ^_^ The meatballs were my recipe for Herby Turkey Meatballs, but I used beef instead as that was what I had in the fridge. I also put together a Camo Fruit Salad and covered some marshmallows with chocolate and sprinkles and called them Bombs Away! I also made some cookie ‘landmines’ by decorating some Oreos with frosting and sprinkles, exactly the same way as I did for Valentine’s Day. 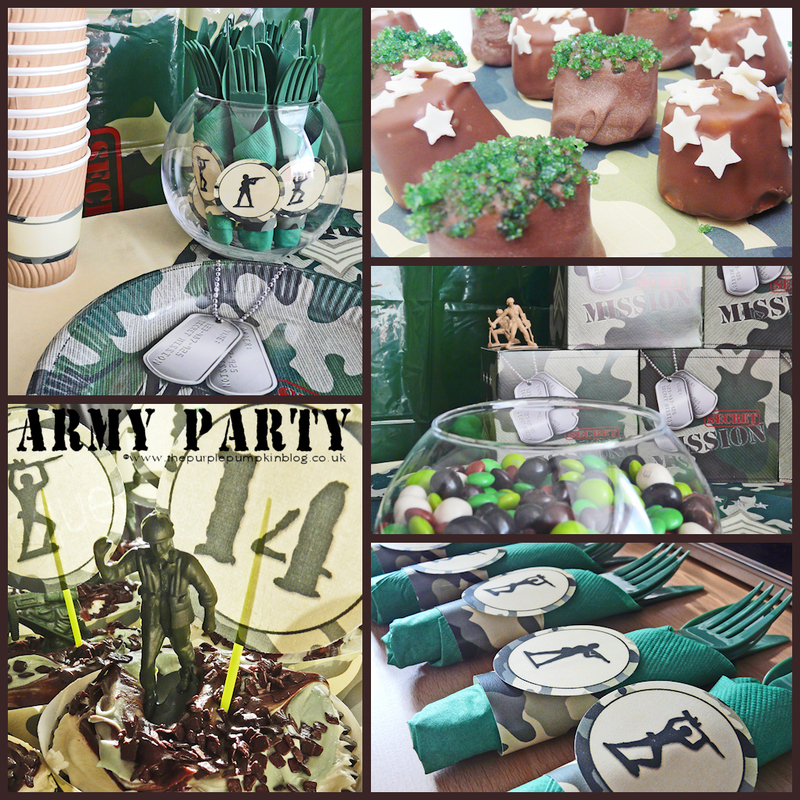 I created some printables, as I just love to do, to tie in with the army theme including napkin wrappers which were used to hold together bundles of green cutlery and napkins. 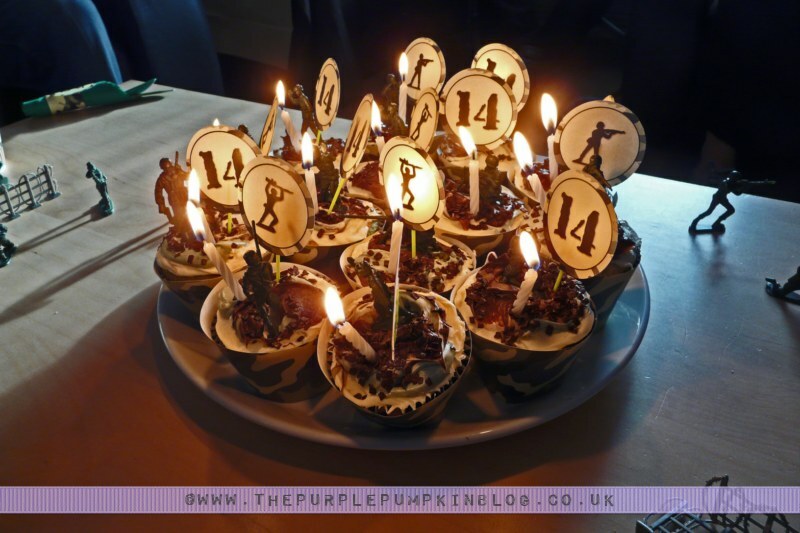 The wrappers also went around the plain cups that I bought – with space for people to write their names – we are always mixing up drinks in this house so I thought this was a fab idea! 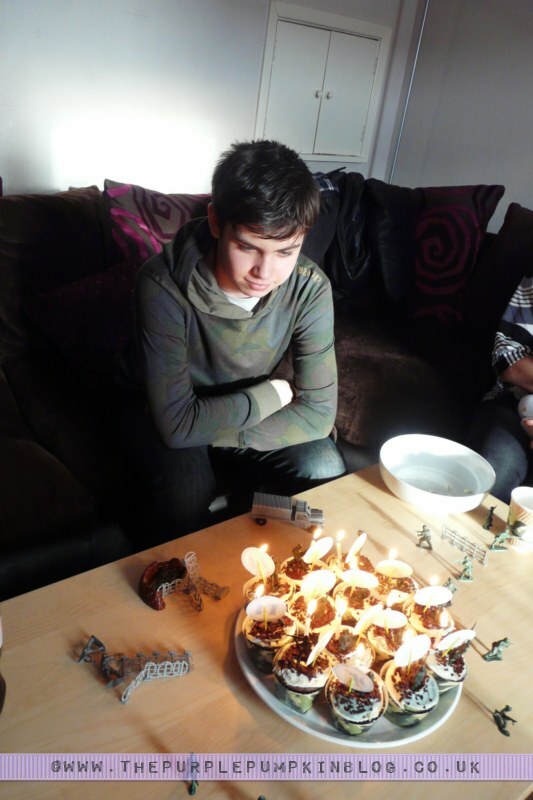 Now of course, can’t have a birthday party without cake! So I made some camouflage cupcakes and decorated with green army men, cupcake toppers and sprinkles. Check out all of my parties!